Well, we are becoming a 3rd world country . . . Guess it’s time to have a flag that looks “3rd world” too. How is this fair? – by Dave G.
I understand the attraction of take from the rich and give to the poor. being poor myself, its easy to see the lure. But I also see the numbers that show: those in the upper 25% today, 20-30 years ago were in the lower 2/5ths income brackets; same palce I am now. They struggled to get by, lived on Macaroni and Hot Dogs, and clawed their way up the ladder to get their slice of the American dream. And now, the modern liberal (same as liberals of their time) wants to take half and give it to the poor kids just starting off. I take the long view and think how Im going to feel in 20 years, when Ive made it, and gotten up that ladder to the upper 25%. Will I be sympathetic to some fresh-out-of-college kid whining he doesnt have my experience, work history, client base; that he has to pay his dues, same as I am now? Hell, I’m not sympathetic to that argument now. Why is it fair to take half of what my dad worked his whole life to get, just because I want it? Shouldnt I earn it, same as he did? And isnt it foolish, almost to the point of childish idiocy, to expect to start off at the same level as he is, with 30 years in his job? The statistics show if I try, I’ll make it there myself; higher if I work hard. So why is today’s punk kid somehow entitled to start higher than his parents have worked their whole lives to get to? How is it fair for the govt to take by force what you spent more than half your life working to achieve, just so some whiny brat doesnt have to exert himself for his dream? Obama wants to tax the piss outta Mom and Dad, and Grandma and Grandpa, for having the audacity to work for their dreams, because junior is too lazy and weak to actually get out of the basement and sweat a bit for his. How is this “fair”? Well, did you think we would make it this far? We’ve sure had a lot of ups and downs, seen lots of people come and go, and even had to say a fond fare well to one of our dearest friends; Carl. I don’t think of this place as being a “social media” site. It’s a lot more than that. We all came together to celebrate Conservatism and enjoy talking with each other – most on a daily basis. If you would like to discuss and debate Conservative Topics with us, use the “Contact Us” link and send us an email requesting membership. Our Forum has some very interesting threads with topics on the Tea Party, new Republican Presidential Candidates, Global Warming, Immigration, Border Control, and Gun Ownership – just to name a few. We also discuss news articles from sites posted by Matt Drudge, Andrew Breitbart, Ann Coulter, and other Conservative outlets. Some of them can be seen in the links under Blogroll to your right. For example, this excellent video is from Breitbart’s site. Our great country is suffering under the hand of a Socialist president. We need strategies, ideas, and to encourage one another to remain faithful to our Founding Father’s and the Constitution. We have been “Covert” in our Conservatism for far too long. Conservatism is the answer, and we discuss its merits every day. Not many of us would argue the fact that Americans have become used to living in an atmosphere filled with disappointment, immorality, victimization, and distrust. TV, Movies, Books, Plays, News, Public Education. They have all been tainted. As each new piece of entertainment becomes more outrageous than the last, our schools rewrite history attacking our heroes and mocking the old ideals. The result is apathy. We feel powerless to rise up and make real changes. But, the real source of the apathy is our not knowing the true source of our predicament. We are living in a kind of social depression that affects every aspect of our lives. It is not due to Conservatism, and it is not due to Liberalism. America has been duped by a planned, societal virus that came to America in 1933 during World War II. The terms ‘Cultural Marxism’ and ‘critical theory’ were concepts developed by a group of German intellectuals in 1923 in Germany. 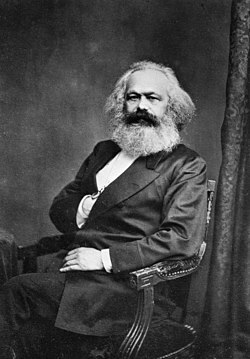 They founded the Institute of Social Research at Frankfurt University, which was modeled after the Marx-Engels Institute in Moscow, and later became known as the Frankfurt School. In 1933, when the Nazis came to power in Germany, the members of the Frankfurt School fled to the United States. They migrated to major U.S. universities including Columbia, Princeton, Brandeis, and California at Berkeley. These intellectual Marxists included Herbert Marcuse, who coined the phrase, ‘make love, not war,’ during the anti-Vietnam War demonstrations. Similar to a computer virus that causes performance problems and destroys data files, these Marxist conspirators gave our society an ideological virus that altered our thinking. Their goal was the destruction of Western Culture that would give rise to Marxism. Unfortunately for Conservatives, the ideals of the Frankfort School, Critical Theory, and Cultural Marxism tend to appeal to Liberals. Without us noticing, Critical Theory permeated Hollywood and our public school system. As Conservatives finally did start to notice, it was almost too late. Hollywood and public education have set up what they think are very high walls protecting them from change. But, they will soon learn that change comes to all things. This video explains some of the origins and traits of Cultural Marxism and Critical Theory in modern day society.